In today's post I'm going to show you a fee pics of my eye make-up from the other day. 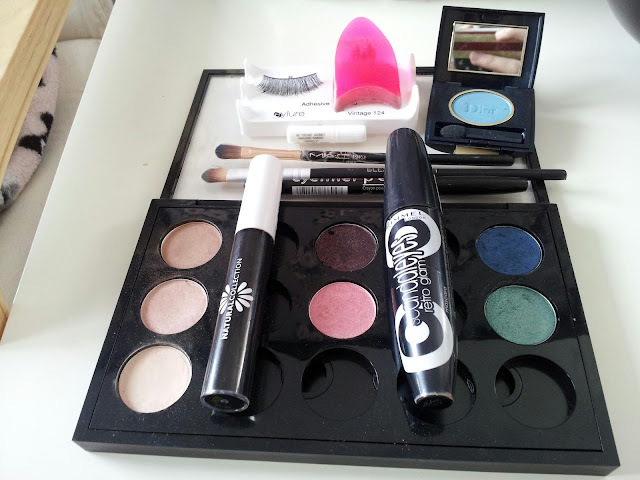 I was inspired by MUA's make-up artist and because I do not own the make-up items that she's used, I had to improvise with what I already have. I used Era by MAC as an all over base. 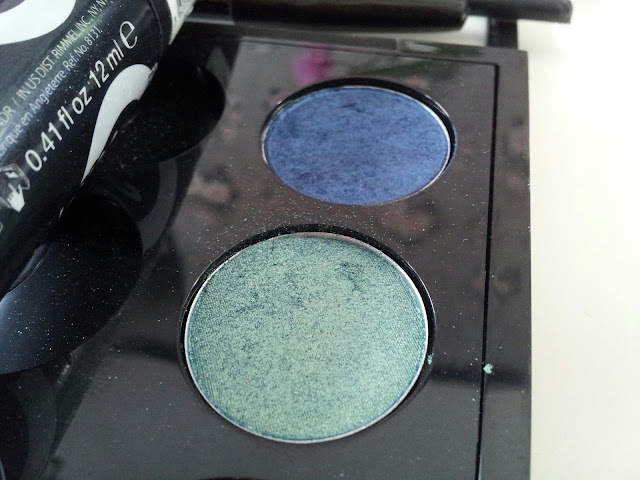 Then i drew the shadow outline with a navy eye liner from L A Colours, and filled it in with Steamy by MAC and blended it with Deep Truth also by MAC. 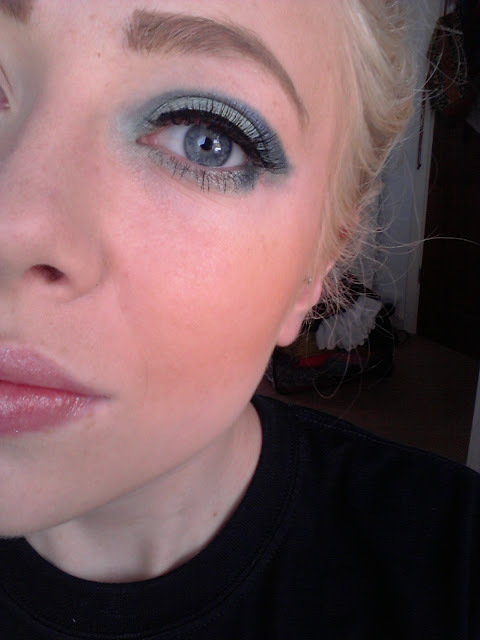 I used my 194se blending brush by MAC and a cheap blending brush for all of the shadows and the eye liner. 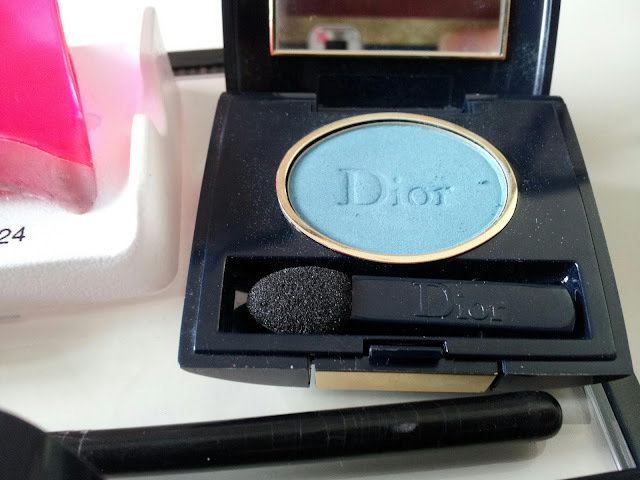 I also used 368 Tempo by Dior which is actually my sister's eye shadow and I used it for the inner corners of my eyes. I used Natural Collection's liquid eye liner to define my lash line, and the Scandaleyes mascara in black to define my lashes. I also applied false eye lashes by Eylure To make my eyes pop out even more. From top - Deep Truth and Steamy by MAC. 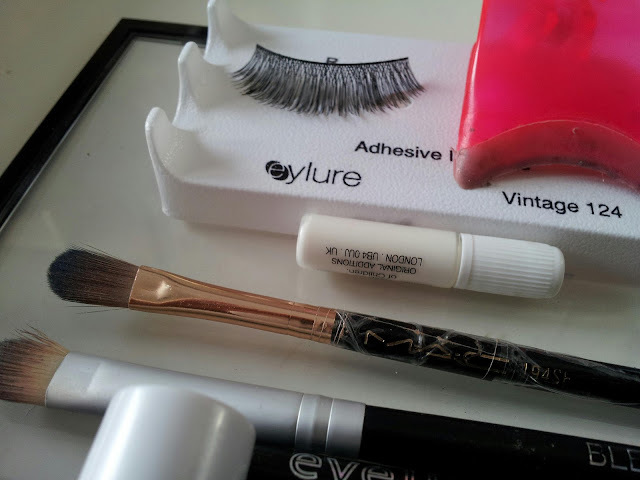 Eyelure eye lashes and the blending brushes that I've used to create this look. And here is the finished look. Sorry the quality of the pictures is really bad, I've taken them on my phone baring in mind it makes my skin look worse than it actually is haha! 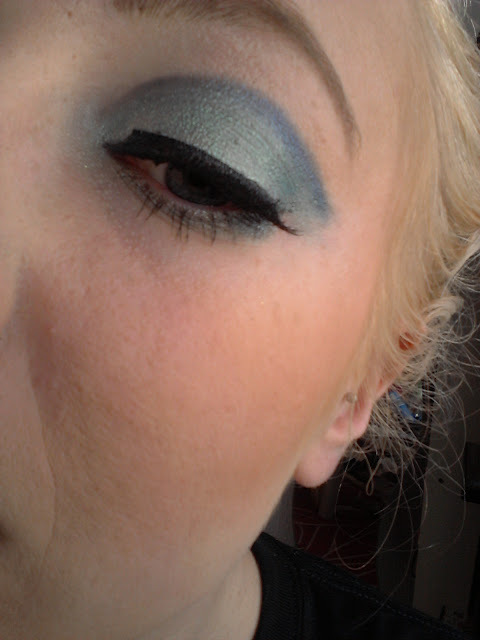 I never wear blue on my lids!! I really should as its a gorgeous colour.. I just don't think it suits me! It makes blue eyes pop out like mad! 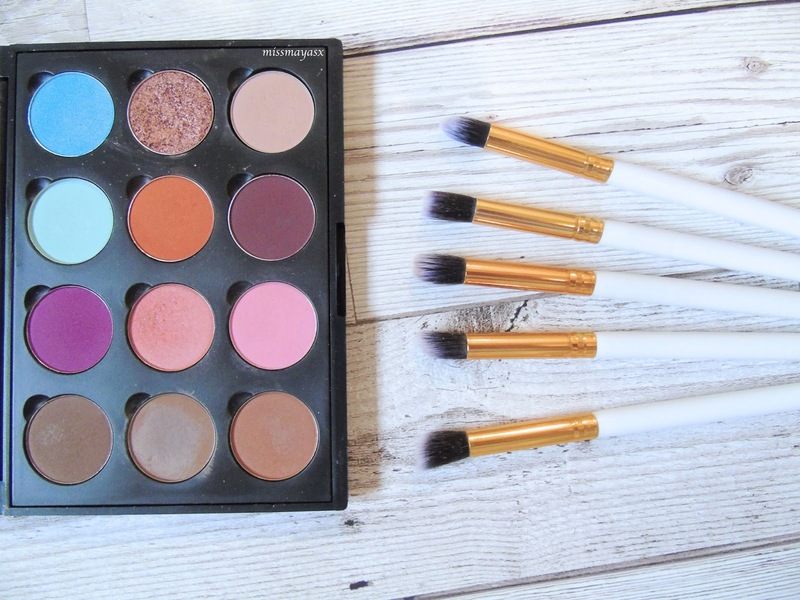 I'm pretty sure you would look lovely with blue eye shadow!